TRAIN KEY MUSCLES TO INCREASE SPEED, POWER, AND VERTICAL JUMP. Try it, risk-free, for 90 days. 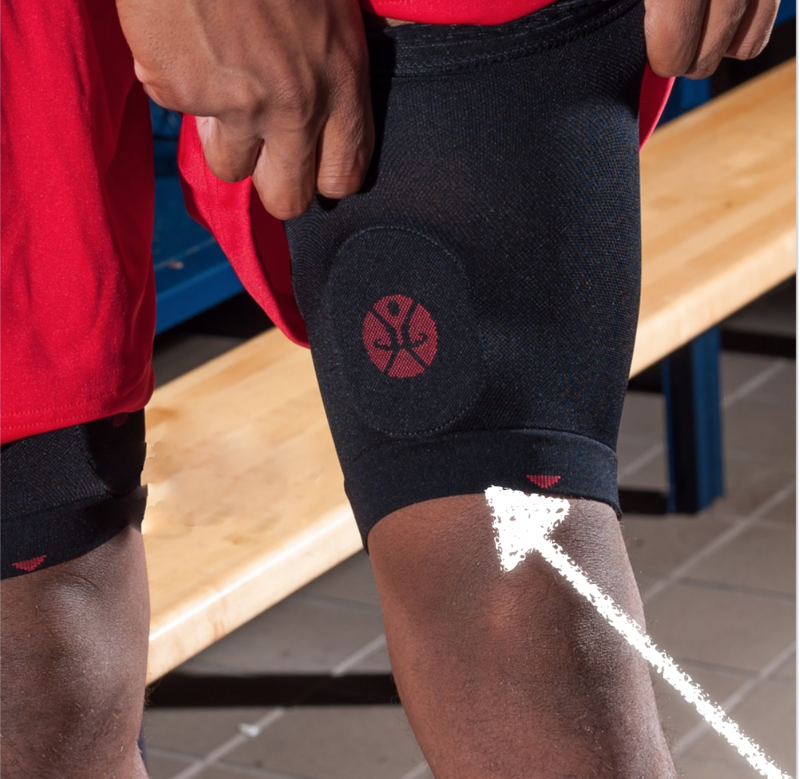 When worn as suggested, the T:25 Knee stimulates a neuro-muscular response in neuro-pathways, helping key muscle tissues fire. This helps to re-train the muscles, which to optimizes performance, realigns the knee, and helps reduce the risk of recurring injuries. 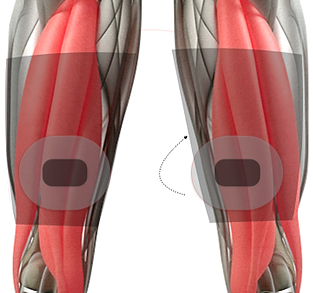 One T:25 pad is placed vertically on the medial quadricep muscle, directly applying 25 mmHg compression. 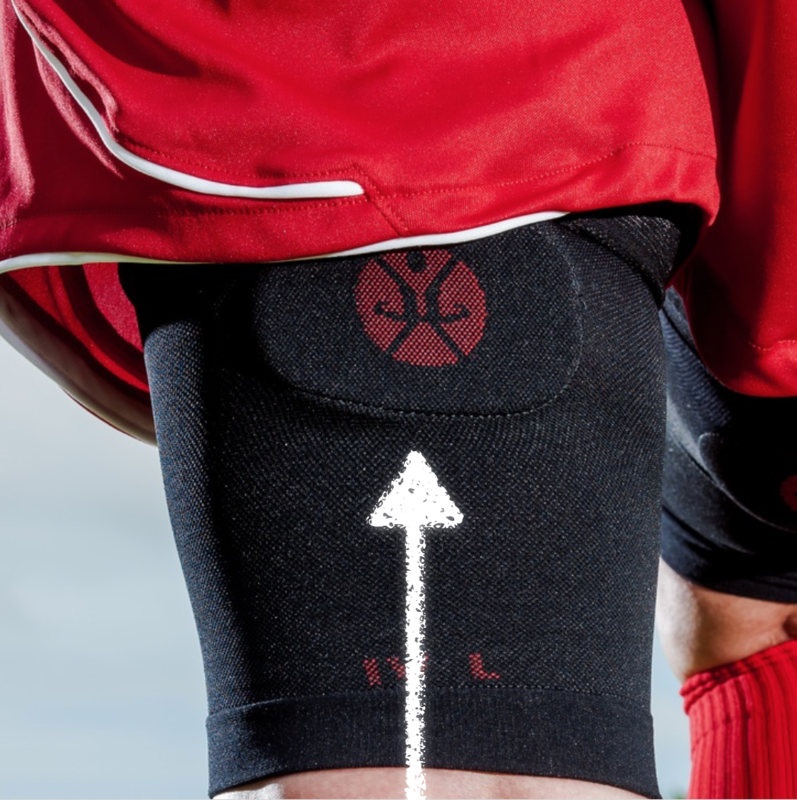 A second T:25 pad is placed horizontally on the medial hamstring muscle, applying 25 mmHg compression. 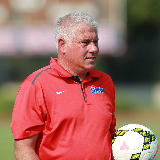 My players ran faster, had more endurance and power with ZERO ACL tears...after wearing the T:25 Knee! "I wanted something different, something other than a brace to help me after my 2nd ACL surgery. 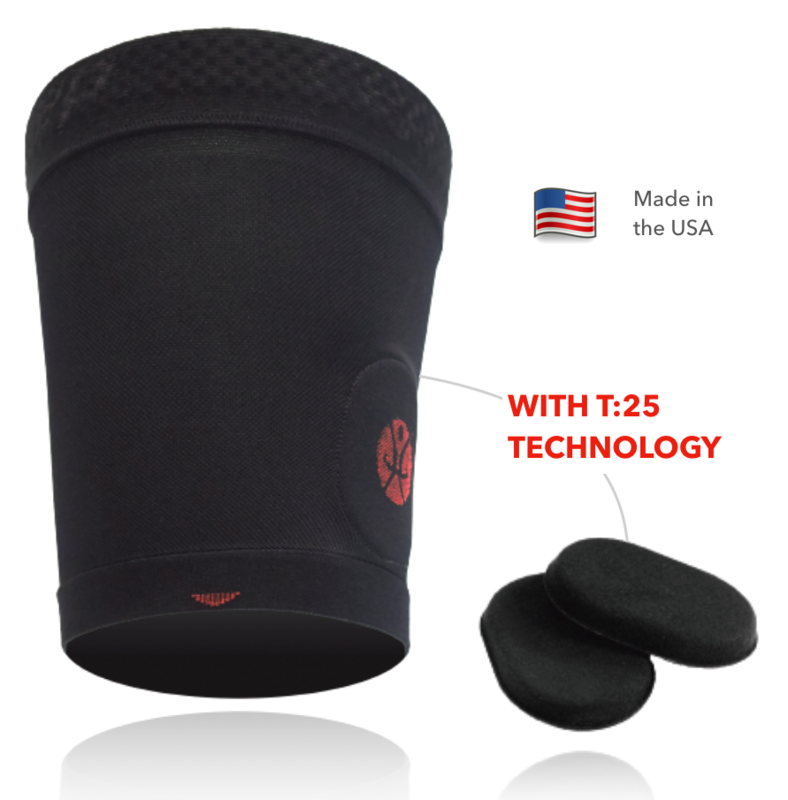 While searching for better alternatives, I found Topical Gear's T:25 Knee. This product is truly amazing! You can feel it working after 5-10 minutes of active movement with it on. And it isn't bulky or hot rubbing the back of my knee. 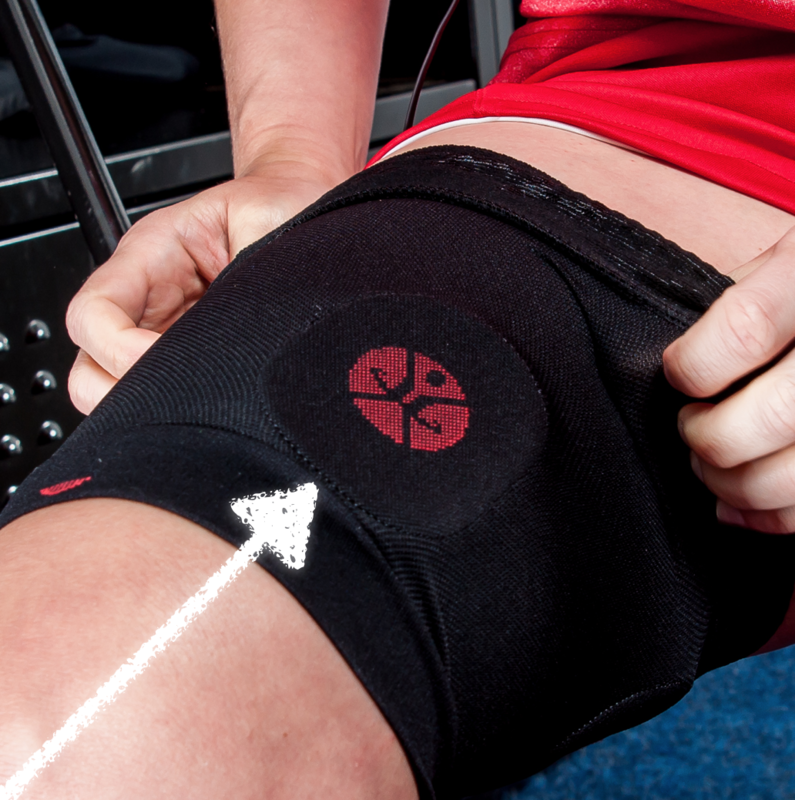 This product could be a game changer for anyone with knee injuries! It already is for me." PERFORMANCE ISN'T THE ONLY BENEFIT ! 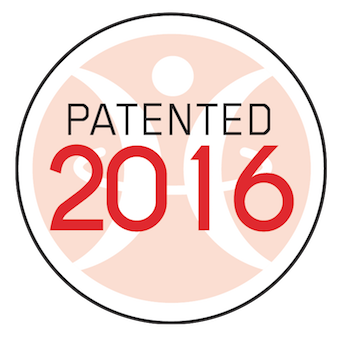 Any competitive athlete with a history of knee and/or hamstring injuries should use the T:25 Knee. But, female athletes are at higher risk of ACL injury. On average, female athletes have a 3.5 times greater risk of sustaining a non-contact ACL injury compared to male athletes. WHY ARE FEMALE ATHLETES MORE AT RISK OF ACL INJURY THAN MALE ATHLETES? Poor biomechanics, disrupted neuromuscular connections, and leg muscle imbalances, all contribute to a higher rate of non-contact ACL injuries in female athletes. All contribute to a higher rate of non-contact ACL injuries in female athletes. A GREATER RISK FOR ACL INJURY. 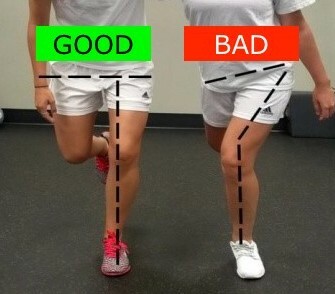 Here you can see good knee alignment (left) and bad alignment of the knee (right). When the knee bends inwards (medially) it is known as Valgus Abduction or "Knock Knee". When the knee moves inward (medially), there is added stress on the knee joint, particularly the ACL ligament, which is designed to prevent the knee from over-rotating. In this video, you see the demonstration of poor knee alignment, in the first jump of the drop-jump test. After the first jump, you can see the correction with proper knee alignment when landing. 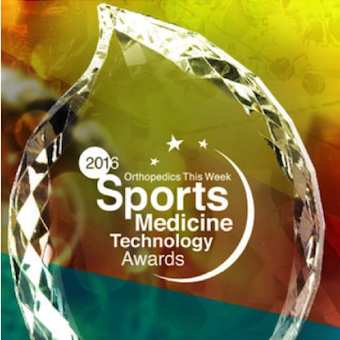 Improving biomechanics can help reduce the risk of ACL injury. 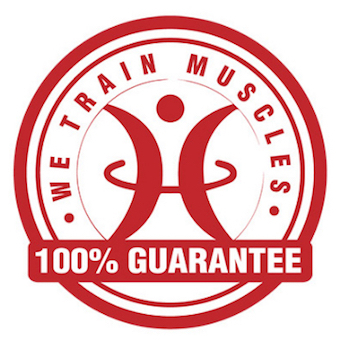 BY ADDRESSING MUSCULAR IMBALANCES IN THE LEG!